The England women's national under-17 football team, also known as the Young Lionesses, represents England in association football at an under-17 age level and is controlled by the Football Association, the governing body for football in England. England women's national under-17 football team best achievements are reaching the semi finals of 2008 UEFA Women's U-17 Championship and 2014 UEFA Women's U-17 Championship. (1999-09-23)23 September 1999 (aged 17) Manchester City W.F.C. (1999-08-13)13 August 1999 (aged 17) Bristol City W.F.C. (1999-04-25)25 April 1999 (aged 17) Arsenal L.F.C. (1999-01-03)3 January 1999 (aged 17) Chelsea L.F.C. (1999-01-20)20 January 1999 (aged 17) Aston Villa L.F.C. (1999-01-11)11 January 1999 (aged 17) Arsenal L.F.C. (1999-02-08)8 February 1999 (aged 17) Chelsea L.F.C. (1999-07-05)5 July 1999 (aged 17) Arsenal L.F.C. (1999-01-10)10 January 1999 (aged 17) Birmingham City L.F.C. (1999-01-03)3 January 1999 (aged 17) Manchester City W.F.C. (1999-06-21)21 June 1999 (aged 17) Liverpool L.F.C. (1999-04-20)20 April 1999 (aged 17) Arsenal L.F.C. (1999-01-28)28 January 1999 (aged 17) Chelsea L.F.C. (1999-10-10)10 October 1999 (aged 16) Blackburn Rovers L.F.C. (1999-06-02)2 June 1999 (aged 17) Chelsea L.F.C. (1999-09-02)2 September 1999 (aged 17) Manchester City W.F.C. (1999-10-11)11 October 1999 (aged 16) Arsenal L.F.C. (1999-05-12)12 May 1999 (aged 17) Yeovil Town L.F.C. (1999-05-26)26 May 1999 (aged 17) Birmingham City L.F.C. 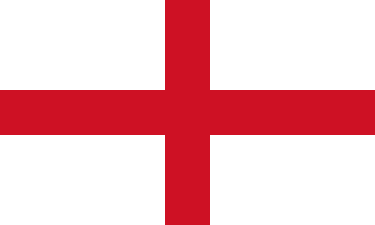 ↑ "Women's Under-17 2014 - Italy-England –". Uefa.com. 2013-12-08. Retrieved 2014-08-16. ↑ "FIFA U-17 Women's World Cup Jordan 2016 – List of Players" (pdf). FIFA. 5 October 2016.